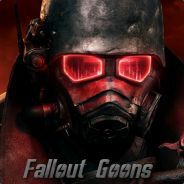 This is a group for vault/basement dwelling fans of the Fallout series that own a SA account. You should be a goon if you join this group; however, this group will remain public because there are no multiplayer features in this series, and none of us care to enforce invite-only rules for single player games. Hello folks, this looks like a great group of Fallout fans, anything Fallout is all good to me!